← Ride The Storm, With Ease And Grace. I am feeling an enormous sense of completion, things are coming to an end, some things may come back but nothing will ever be the same again, this is a good thing. They do say that change is the only constant, but we generally have big internal structures that will determine how we respond to change, or react. Sometimes we resist change and even that is not automatically a bad thing, it might be divine redirection taking you on a different path, or perhaps introducing a note of caution. But there are times when those big constructs of values, beliefs and ideas, need to be challenged and that which is no longer useful, can be let go of. 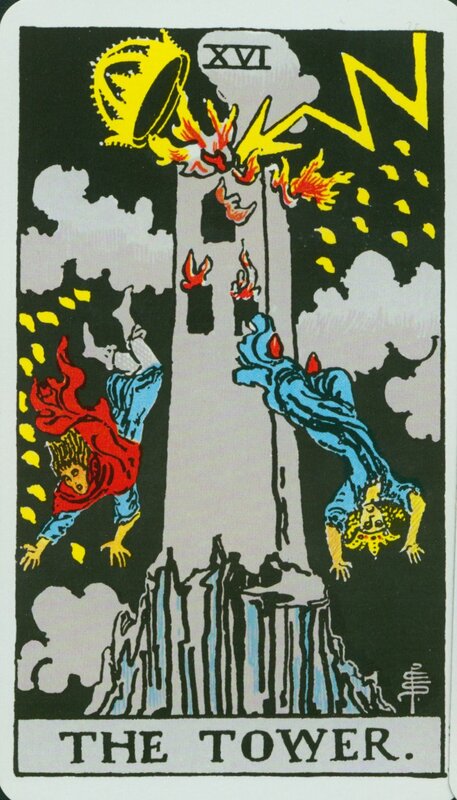 In the Tarot the card of The Tower symbolises this aspect of development, likely you will visit this space more than once in a lifetime if you are growing and evolving through your life. For me there has been a lot of movement in the area of ego, more in the egotistical view of myself as lesser, which is just as silly as having an over-inflated opinion of oneself. 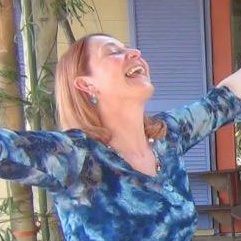 Resting in a true appreciation of whatever your gifts are, expressing your life force in whatever is the right way for you in the moment that you are in, sounds much more appealing doesn’t it. 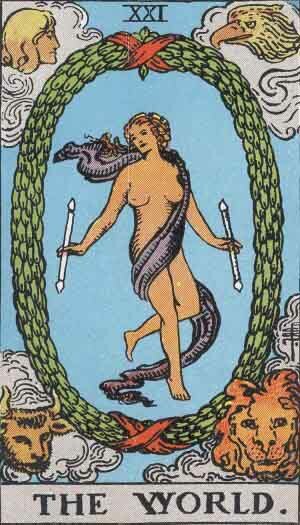 So the question to explore then is what kind of ending do we have here, it feels very balanced so it might be the card of The World where the ending is very complete, not much unfinished business if any. That’s something I will sit with, if there is anything unresolved I need to attend to it so there is nothing barring the way for a new beginning to unfold! Bring it on my compassionate cohorts, Michael, Germain, Aphrodite and Mary, and all the Heavenly Hordes!! This entry was posted in Uncategorized and tagged beliefs, change, divine, ego, internal structures, resistance, tarot, The Tower, The World. Bookmark the permalink. Sounds like you’re right in time for the full moon eclipse which is tomorrow…also a signifier of things coming to an end. Very true! I must look up the exact time of the eclipse, thanks for the reminder.